Cat at Heart by Tanya: Cats in Clothes. Happy Sunday afternoon/night my lovelies! I am returning back to school tomorrow as a Year 12, meaning it would officially be my last year of school and it scares me. A lot. So I did what any nervous, unprepared student would do and that is spend my last day of holidays reading past frankie magazines. NO REGRETS. I was reading issue 47 and I came across an article that made me leap out of my seat and yell "How have I not seen this before?!!". 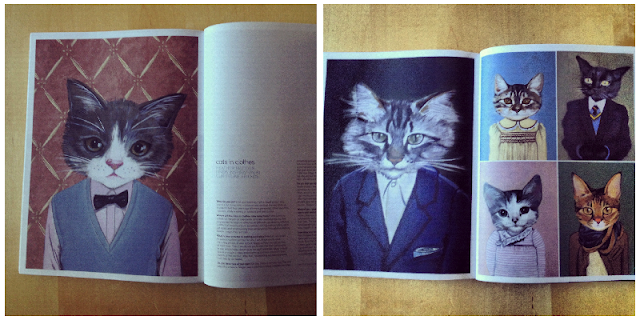 It is indeed about Cats in Clothes. From the minute I laid my eyes on these prints, I knew I had to write a blogpost about it. 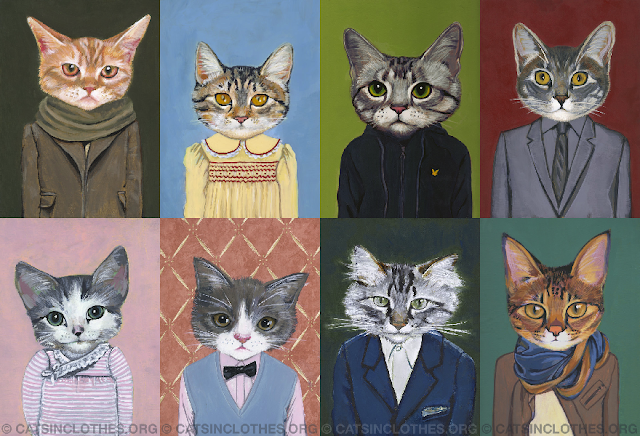 The splendour in combining two of my loves: cats and clothing (my url duh) is just mesmerising and Heather did it with taste and skill, creating perfect portraits that everyone must have. 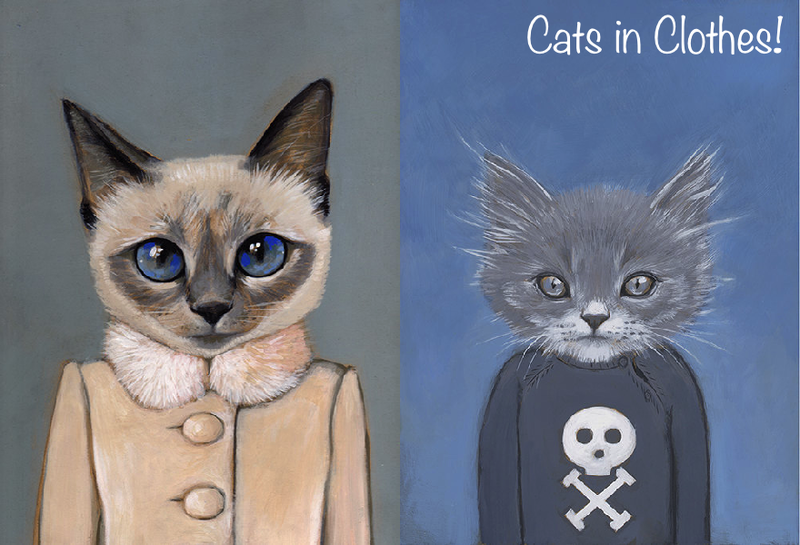 Heather is currently selling these prints at her Etsy Store and there is even the option for a custom portrait of your own cat!! (see here) Also, if cats aren't really your thing she does draw dogs in clothes as well! Hahaha this is adorable. Think I need a troupe of kittens. Thanks for the visit and lovely post on my blog!! I love yours too, following on bloglovin right now!! If you have a chance please check out my blog it means a lot!